Sometimes those who are named in your estate plan pass away. If an appointed guardian of your children dies, it is imperative to designate a new person. Likewise, if your chosen executor, health care agent or designated power of attorney dies, new ones should be named right away. Whether it is a sudden salary increase, inheritance, or the purchase of a large asset these scenarios should prompt an adjustment to an existing estate plan. The bigger the estate, the more likely there will be issues over the disposition of the assets after you are gone. For this reason, it is best to see what changes, if any, are needed after a significant increase (or decrease) in your assets. 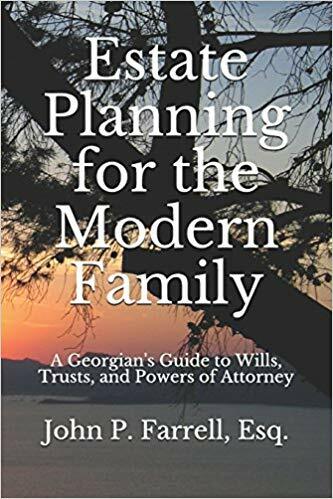 Call us at (678) 809-4922 or get a copy of our book, Estate Planning for the Modern Family. Previous Previous post: HELP! This Probate Is Taking Forever!! !